Our certified mechanics are on hand to solve your problems and get you on your way. We service Johnson and Volvo Penta drives; however, if we don’t have the answer or the part you need, we can guide you to those that do. We want you to have a trouble-free vacation on Shasta Lake. If you are bringing your own boat, be sure to check out your equipment before you start your trip; it may save you a lot of trouble. 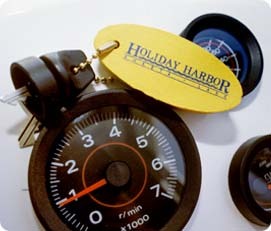 But if you need help, the marine repair services at Holiday Harbor will get you back on the lake.